A decoration and book in one! 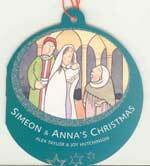 Simeon & Anna's Christmas retells the Christmas story from their point of view. 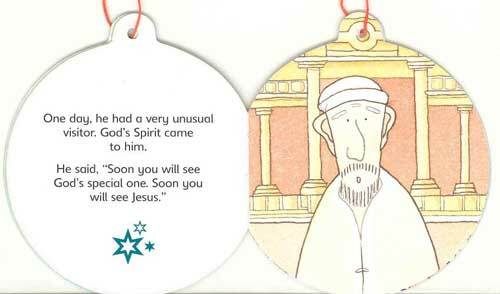 The beautiful artwork makes it an attractive Christmas tree bauble as well as a great read for children under 8. The book comes with a thread to hang it on a Christmas tree. Simeon & Anna's Christmas is part of an eight book set following the Christmas stories from the viewpoint of Mary, Joseph, the shepherds, the wise men, the angels, Elizabeth, and Herod. The whole collection looks very attractive hanging on a Christmas tree.